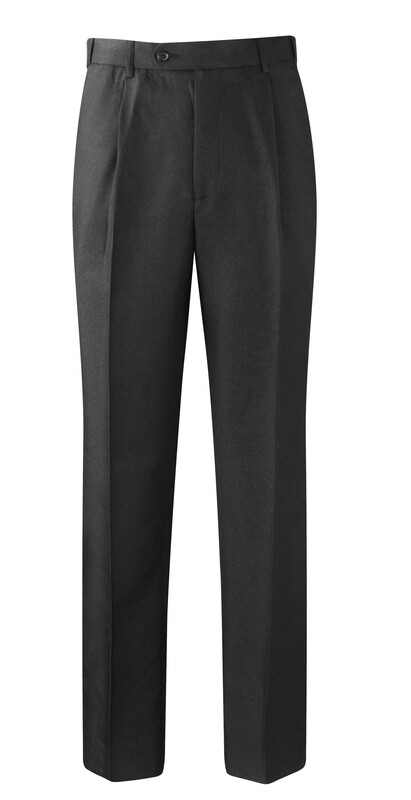 A fashionable pair of tailored trousers in polyester/wool mix. REDUCED TO CLEAR. Security Trousers in Polyester / Wool mix. Front pleats. Seven belt loops. Permanent front crease.